When it comes to marketing strategies, content marketing is begging to far surpass search engine marketing, public relations and even print, television and radio advertising as the preferred method of delivering a message for today’s businesses. Content Marketing will generate leads, enhance brand visibility and deliver effective native advertising. So what exactly is content marketing? It’s the creation and publication of socially popular content — including blog posts, case studies, videos and photos — for the purpose of generating leads, enhancing a brand’s visibility, native advertising and putting the company’s earned reputation on display. The problem however is that it can be time consuming and the ROI can be sub optimal if not done right (mobile web platforms). Amplifying a message that engages people and influences them is no small or easy task. Social media marketing is time consuming, and good content curation is not easy to find. The web is huge and vast with an abundance of information. Information that is being shared and discussed across the globe every second. 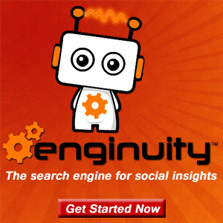 At Enginuity Search Media we found a way to capture the social relevance of information. Doing sentiment analysis (tracking opinions and feelings) of the entire web is a big challenge, let alone tracking social shares and virability of every url in the world! 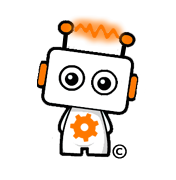 But by doing so Enginuity Search Media provides a search engine and service in which we can help your business create exclusive content marketing campaigns that will deliver an influential message which resonates with customers and increases their engagement. Deliver an influential message which resonates with customers and increases their engagement. Our targeted campaigns can easily plugin to your preferred social networks, content curation platforms Storify, Pressly and advertising service such as OutBrain, DoubleClick, nRelate, VIRURL and AdRoll to deliver a native experience like no other in the industry. Check out our demo video to learn how this highly effective approach can work for you. Contact Us to find out how we can help you build effective content marketing campaigns.